What a surprise - Jenessa lusts after yet more orange. Yes, the 70s trend is showing no signs of dying down, and I'm as head over heels as ever. 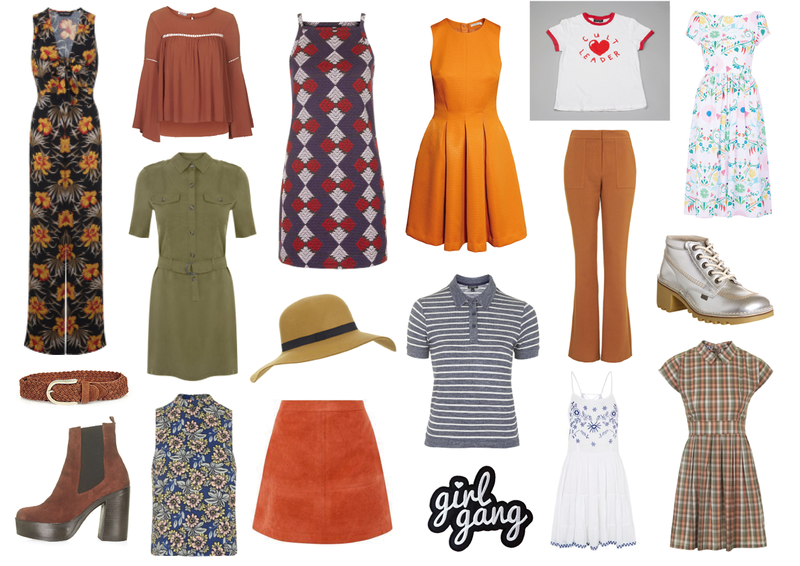 With my resolution to wear more colour (check out my inspo piece here), I suspect I will be committing to both the H&M solero-worthy dress and the New Look Rust Suedette Skirt during my holiday week in London next month.